After starting the season with a 48-40 shootout win against the Saints, Tampa Bay welcomes the defending Superbowl champions to Raymond James Stadium. The Eagles will have to contend with the NFL’s top offense. Tampa Bay tied a team record for most points scored. In the off-season, head coach Dirk Koetter gave up the offensive play calling to Todd Monken. In Monken’s first game calling the shots, the Tampa offense looked crisp and in sync. It was evident early with Fitzpatrick connecting with Desean Jackson on a 58 yard touchdown pass. The running game was also solid with Peyton Barber, Jacquizz Rodgers, and Shaun Wilson. One surprising move was Ronald Jones being inactive for the game. The Tampa defense may have allowed 40 points but came up with crucial turnovers when needed. With cornerback Brent Grimes out, Tampa started rookie Carlton Davis and Vernon Hargreaves who forced a fumble on New Orleans running back Mike Gillislee, which was scooped up by safety Justin Evans and returned for a touchdown. 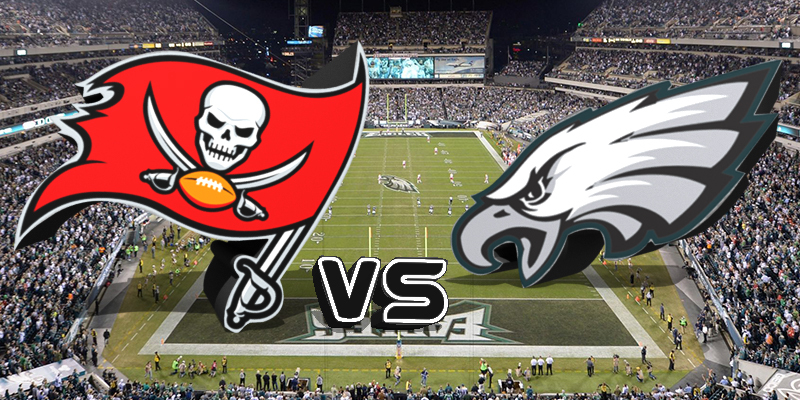 The 1-0 Eagles come into Tampa Bay dealing with their own injuries. Philadelphia is still a few weeks away from welcoming back Carson Wentz and Alshon Jeffrey. Superbowl MVP Nick Foles will look to continue his winning ways against a banged up Tampa secondary. Tampa cornerback Carlton Davis was benched in week 1 for fellow rookie MJ Stewart after being targeted 8 times and allowing 6 catches including a 28 yard touchdown. The Tampa Bay pass defense finished the day allowing 439 passing yards. On Tuesday, it was announced that Hargreaves suffered a shoulder injury against New Orleans and will miss Sunday’s game, Tampa immediately went out and signed former Saints and Jets cornerback Marcus Williams and have also brought in free agent Bashaud Breeland for a visit. Tampa looks to start the season 2-0 for the first time since 2012. Tampa will need to establish a pass rush and pressure on Nick Foles. 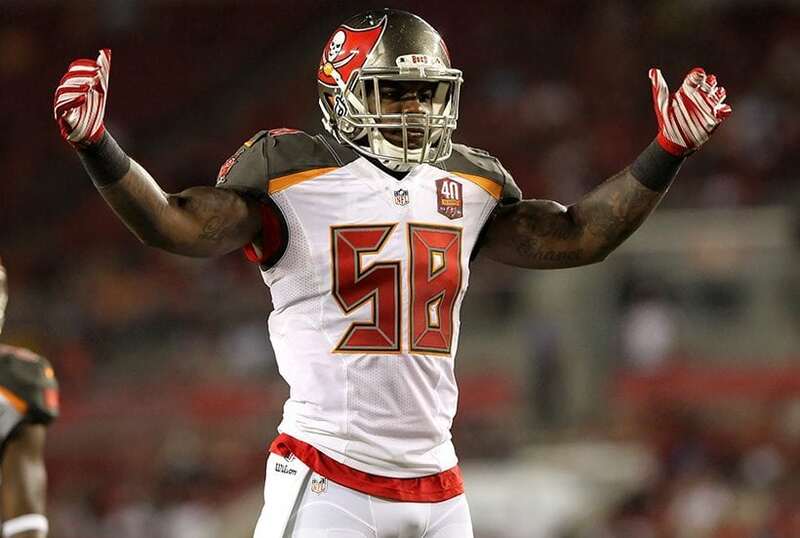 Tampa was only able to get 1 sack by former Eagle Vinny Curry against New Orleans. In return, the Tampa Bay offensive line is going to need to continue their stellar play after not allowing New Orleans to sack Fitzpatrick. After Atlanta wide receiver Julio Jones went for 10 catches 169 yards against Philadelphia, a game plan of looking for wide receiver Mike Evans early and often should facilitate a Tampa win. It’s time to FIRE THE CANNONS! The 2015 NFL Draft produced 4 current Tampa Bay starters. While Jameis Winston headlines that draft class, arguably the second best selection would be LSU linebacker Kwon Alexander. Tampa Bay traded up in the fourth round to select Alexander. In 2017, Alexander racked up 97 tackles, 4 pass deflections, and a career high 3 interceptions which helped Alexander earn his first Pro Bowl selection. Kwon looked to have maintained his Pro Bowl form against New Orleans in week one. Kwon finished the day with 9 total tackles along with a key forced fumble on Michael Thomas.